A regularly spouted, seemingly accurate, truism that crops up during every year’s summer and winter transfer windows concerns the danger of signing too many new players in one go. How, after all, can a team be expected to perform at the limits of its potential if many of its key components are strangers to one another? They need time to gel. They need to be in sync. The most pertinent example of this is seen when a club sells a prized asset for great profit and then splurges the money on a collection of square pegs for round holes. Soon, a well-drilled, luxury vehicle of a team becomes a spluttering mess, flat-tired and smoking at the side of the road. Nowhere is the adage that familiarity breeds contempt less applicable than to the on-field make-up of a professional football team. To find additional evidence of this, look no further than the comparative quality of international football and club football. While the World Cup is rightly celebrated and indulged, the on-field product is often lacking (Maurizio’s Sarri’s claim this week that Chelsea could beat England shouldn’t be read as misplaced arrogance), which isn’t particularly surprising. After all, it’s unfair to expect players who only spend a few weeks with each other throughout the season to achieve the same well-oiled synchronization that the top club teams have. For the founding members of the Canadian Premier League, the challenge is even greater. If you think that trying to get four or five new signings to click is tough? Try a squad of twenty. So, as we creep closer to April’s season-opener, there is one question that will have the seven coaches scratching their heads the most: how exactly do you get a team built from nothing to gel? As of now, we’ve seen most of the CPL clubs attempt to answer this question by signing multiple players from their own in-province talent pool. By doing so, the clubs sign personnel who know each other either as teammates or opponents, thereby speeding up the process of how quickly they can click on the pitch. This cultural familiarity between players, with its shared reference points and subconscious language, nurtures a togetherness that should make navigating pre-season and the league’s opening weeks a less stressful process. For HFX Wanderers, though, it isn’t that easy. How can Nova Scotia, with its population of 953,869, be expected to produce the same volume of footballing talent as, say, Ontario (14.9 million), or British Columbia (4.8 million)? Even Winnipeg’s Valour FC, closest to Wanderers in terms of population, has 400,000 more people living there. To negotiate the geographical limitations imposed on them, Stephen Hart and his coaching team will have to seek out innovative ways to counteract this disadvantage, and the players they’ve brought in so far offer us a glimpse at how, exactly, they plan on doing so. 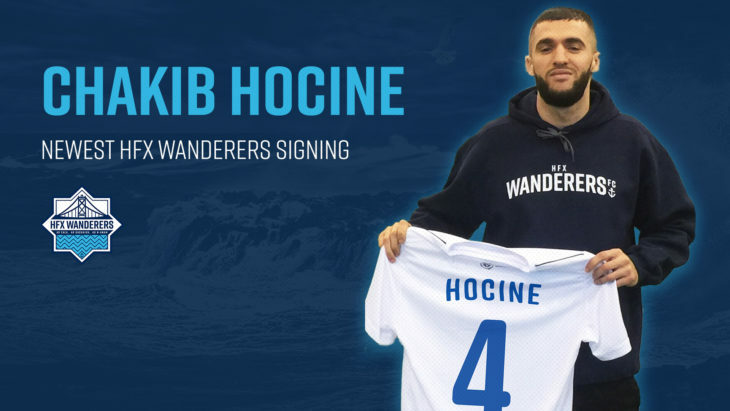 The announcement of new signing Chakib Hocine this past Wednesday was an interesting one. His profile fits that of many of the league’s early signings; the 27-year-old’s career includes spells in the USL with FC Montreal, a stint at Mississippi Brilla in the PDL, and most recently a year in Finland playing with second tier side Ekenas IF. It’s a similar footballing story to a lot of the early signings (and once more hammers home just how important the CPL will be at stopping young Canadian talent from slipping through the net), but what makes it interesting, for Wanderers fans at least, is the fact that one of Hocine’s teammates at FC Montreal was Zachary Sukunda. Taken as a one-off, this is nothing too revelatory, and really, in a country of Canada’s footballing size, to be expected. What makes this interesting is that every single one of Wanderer’s first six signings have played alongside at least one of the other six at some point in their careers. 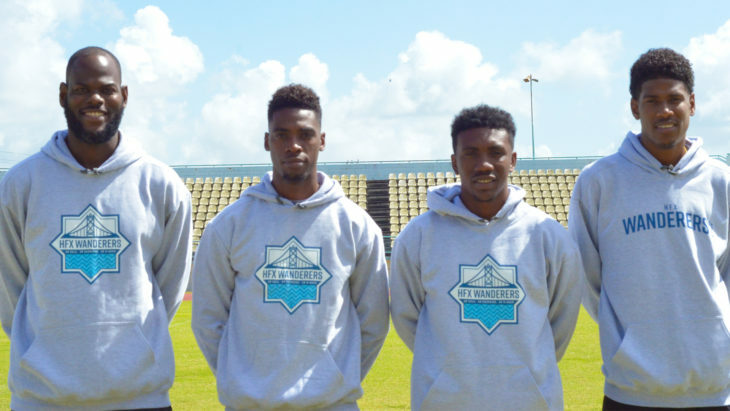 Of the four Trinidadians signed two-weeks ago, Jan-Michael Williams and Elton John spent two-years together at Central FC, while Andre Rampersad and Akeem Garcia were teammates last year at FC Santa Rosa (coached, tellingly, by new Wanderers assistant Derek King). Add to this Chakib Hocine and Zachary Sukunda’s time together in Montreal, and you have a group of players armed with ready-made connections. A quick glance at each player’s positional profile strengthens this point. In Williams and John, Wanderers have an experienced goalkeeper and defender, two related positions that rely heavily on one another. Likewise, with full-back Sukunda and centre-back Hocine. Further up the pitch, box-to-box midfielder Rampersad’s relationship with Garcia, who is most commonly seen on the right side of a front three, adds an offensive familiarity that bodes well for the future. So, not only will these players have a teammate they know on a personal level alongside them, they’ll have an on-field acquaintance, too. Whether this is a trend that continues as new signings are announced will tell us a lot about Stephen Hart’s thinking. We can expect, at some point, several signings from within Nova Scotia (two of which may well be draft-picks Christian Oxner and Peter Schaale). Presumably, given the smallish-scale of football in the province, these will be players who have either played for or against each other in their youth careers. So once again, familiarity. Looking further afield, another factor to consider is how the club decides to fill the final three international spots in the squad. Will Hart continue to stick with what he knows by unearthing more Trinidadian talent, or will he look elsewhere? The picture will be clearer once pre-season begins in February. 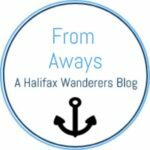 As the clock counts down to the last week of April, HFX Wanderers and the other six CPL members will continue to sculpt and mold their fledgling squads into something a little more fully-formed. Mistakes will be made. Lessons will be learnt. But whichever team manages to achieve this synchronization the quickest could well find themselves on top of the pile come October.